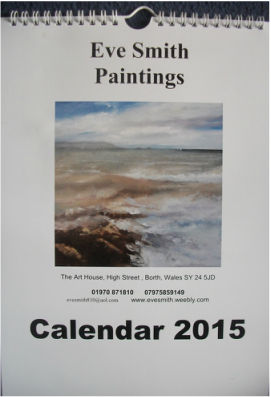 Calendars for 2015 are available, either via the shop or by post. Please send me an email to order with order address or phone 07975859149. You can pay by sending me a cheque to The Art House, High Street , Borth or by Paypal which I will confirm with email.Postage is £1.20 .